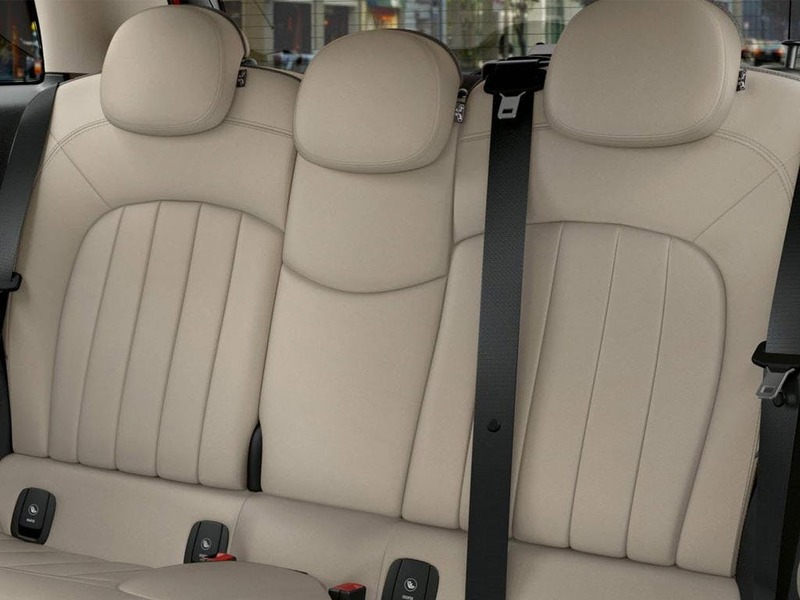 Friends, family or luggage - whatever it is, you can now fit more of it into your MINI. With an extra seat and extra doors, the new MINI 5-Door Hatch is still compact but you’ll definitely notice the difference. 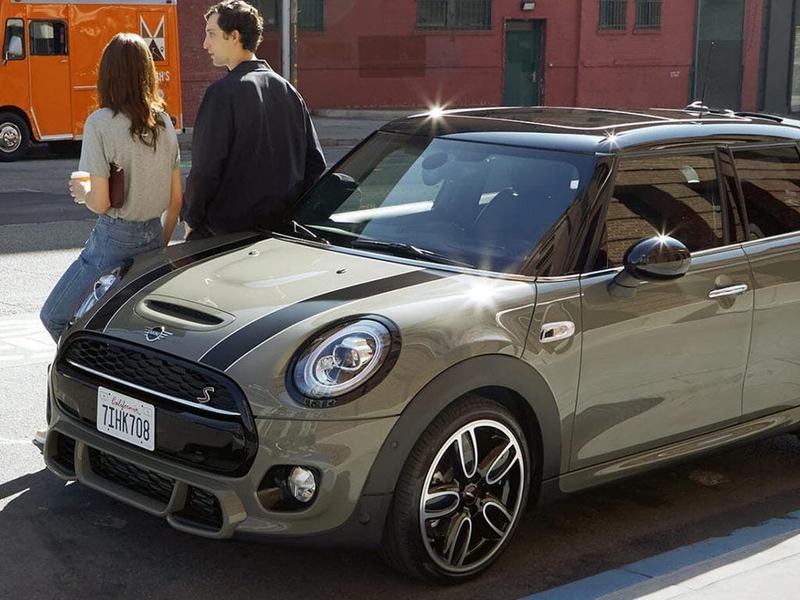 This super practical, super small, turbocharged MINI 5-Door Hatch provides you with more room for a growing family. Visit your local MINI dealership in Bedfordshire, Cambridgeshire, East Sussex, Hampshire, Hertfordshire and London to experience the spacious design of the new MINI 5-Door Hatch. Discover all the latest MINI 5 Door Hatch offers currently available. 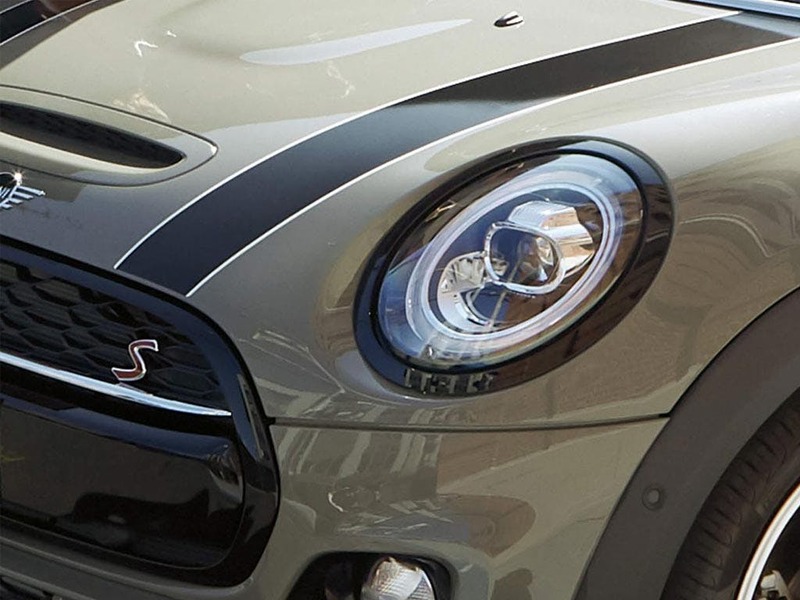 Every detail matters, view the MINI 5 Door Hatch technical specification. Download the latest 5 Door Hatch brochure. If there wasn’t enough style on the outside, there’s even more style on the inside. 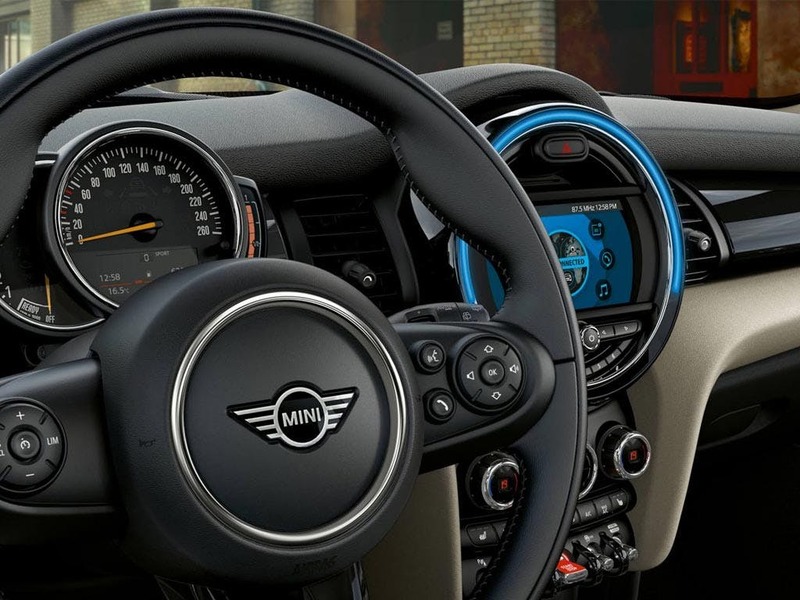 The interior of the new MINI 5-Door Hatch is a customisable heaven. Choose the style of your interior surfaces and enjoy matching the interior ambient LED lighting to your mood. It doesn’t stop there. Customise the sports seat trims from a choice of Black Pearl cloth/leatherette, Cross Punch leather, Diamond cloth/leather or Lounge leather. Get ready for an adventure and bring the new MINI 5-Door hatch to life. 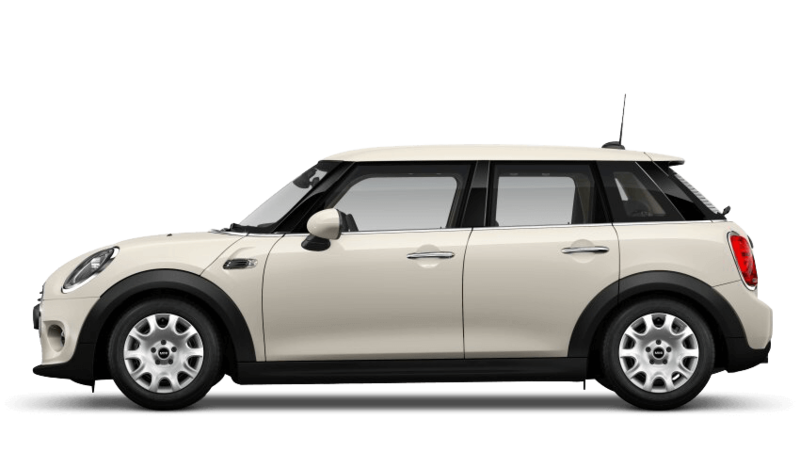 Bigger than the MINI 3-Door Hatch with its 161mm of additional length, the MINI 5-Door Hatch comes with a lot more than two more doors. 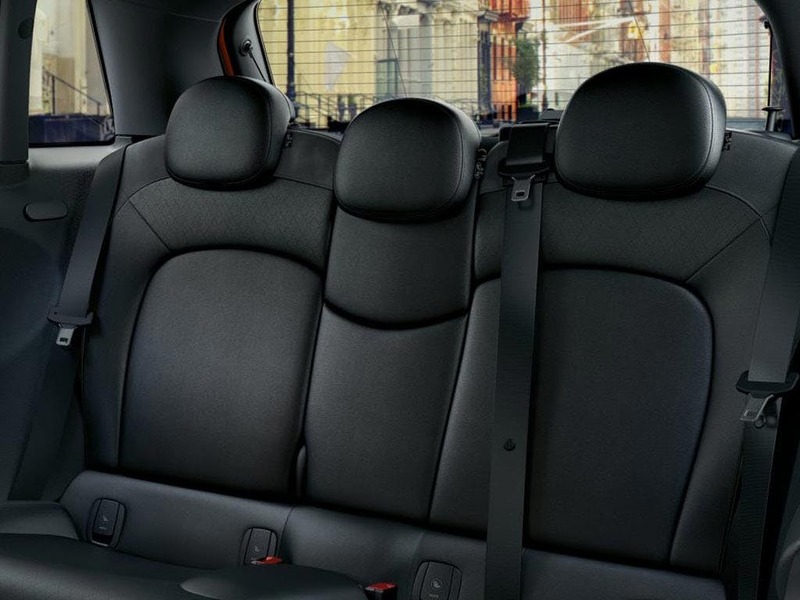 The extra length translates into five seats and the three rear seats feature a body-hugging design to make sure your passengers stay put, no matter how exciting the drive. If that wasn’t enough, you’ll also get an extra 67 litres of luggage space, which means you can stash 278 litres of your stuff in your boot. 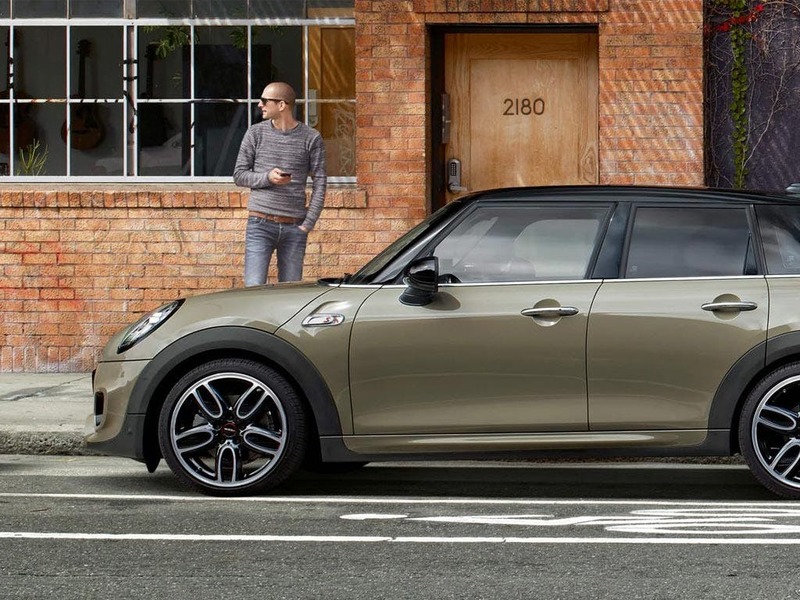 You are guaranteed to be astounded with the exhilarating performance of the new MINI 5-Door Hatch. With six engines available, the choice is yours. Like the 3-Door Hatch, the One D 1.5-litre diesel engine proves to be the most fuel efficient with only 92g/km CO2. Perhaps you would prefer something with a little more punch. 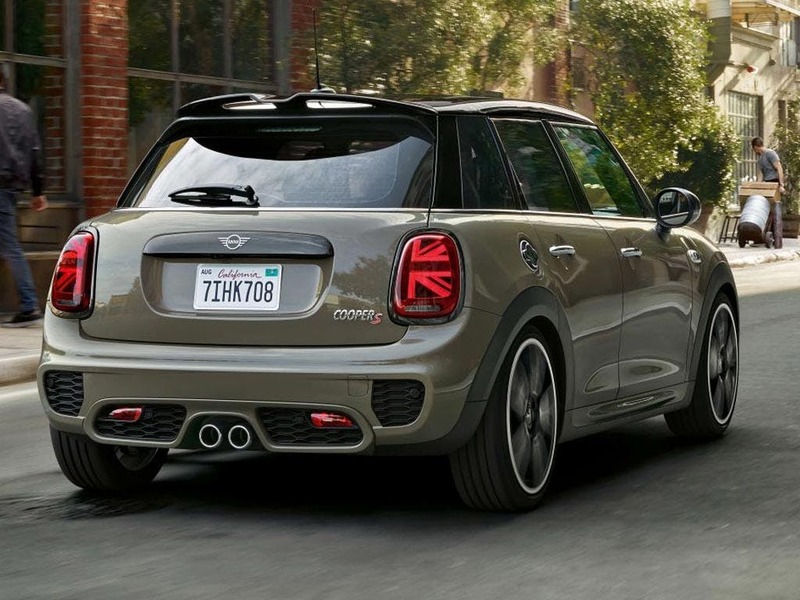 The impressive 192bhp Cooper S engine is packed full of power, reaching 0-62mph in just 6.9 seconds. 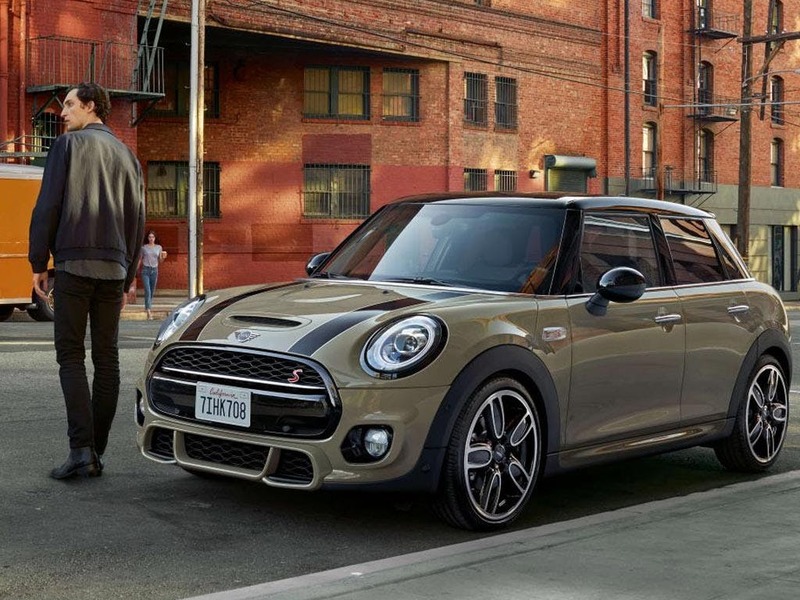 Full of the latest technology and connectivity, the new MINI 5-Door Hatch is designed to make every journey easier and more enjoyable. Bluetooth hands-free function with USB audio, DAB radio, intelligent emergency calling and MINIMALISM Fuel Saving Technology all come as standard. 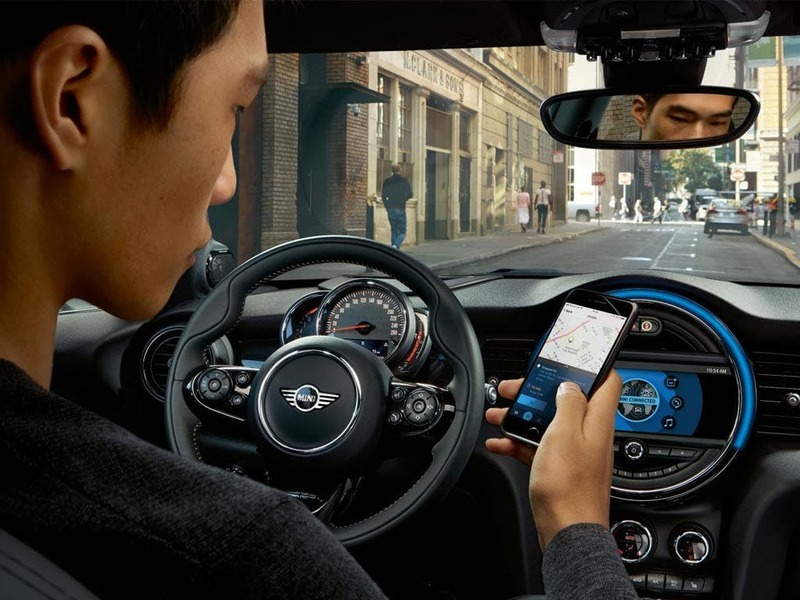 Add to that features such as the rear-view camera, MINI Connect, MINI Head-Up Display and much more, and driving the new MINI 5-Door Hatch becomes unlike anything you have ever driven before. 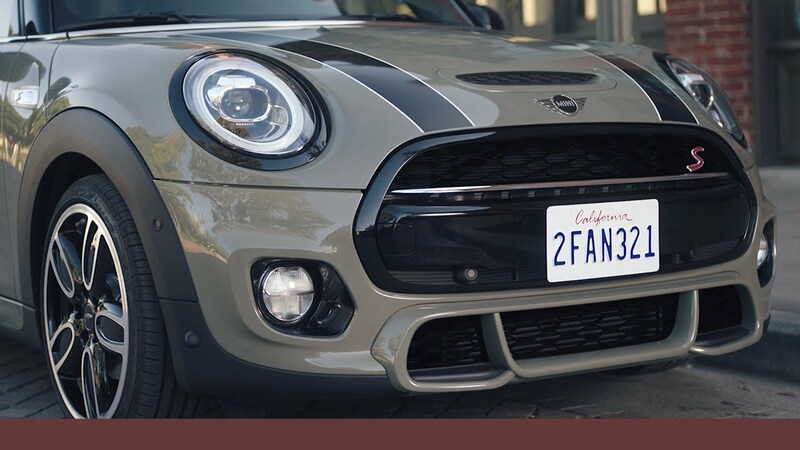 Get a taste of the go-kart driving experience in the spacious MINI 5-Door Hatch. Arrange a test drive at your local MINI dealership in Bedford, Brighton, Borehamwood, Cambridge, Farnborough, Hailsham, Hindhead, Kentish Town, Ruislip, Stansted, Watford and Worthing. of Barons & Chandlers customers that bought an MINI 5 Door Hatch would recommend to their friends and family. I'd definitely recommend Barons MINI Stansted because, Terri, the lady who sold me my car was very knowledgable. The whole experience was an absolute joy, from walking in and not knowing which car to choose to picking up my shiny new car . Every question I had was answered thoroughly. I can highly recommend Barons MINI Stansted. I had a great experience at Chandlers MINI Worthing because the showroom was very tidy, the staff were very helpful and the Sales Ex. who looked after me, Sam Newman was excellent, from the enquiry to the handover. I would recommend Barons MINI Farnborough to friends and family because they have great knowledge, patience and welcome everyone that walks through their doors. I'd re MINI Bedford because found the right vehicle at the right price with a very personable sales executive to sell it to me. There was nothing not to like. Barons MINI Hindhead were helpful because they are knowledgeable able the cars & finance packages. The purchase of my new car was easy & straightforward. My experience at Chandlers MINI Hailsham was cracking because the sales person Joe was brilliant and attentive from start to finish he went above and beyond and made the experience enjoyable. Chandlers MINI Hailsham staff were good because they put MY needs at the forefront of all discussion. I'd also been liaising with my local Evans Halshaw dealership and there was a huge difference in service. At Evans it seemed as though they were only interested in what they needed from the deal, they really didn't make me feel as though they were interested in my needs. At Chandlers MINI Hailsham the experience could not have been more different, it really was like chalk and cheese. I dealt with Sam Payne (Sam Payne ) at Chandlers MINI and he went out of his way to accomodate my requests which were far from straight forward. Firstly he sent me a video of the car within 30 minutes of me requesting it as I'd explained I had very limited time. I booked a viewing for the very next day and as I was travelling over 100 miles to view the vehicle I asked whether I could drive the car away the same day (assuming I confirmed I wanted the vehicle). Sam explained this was not standard practice but even though it was one of the busiest days of the year (March month end) Sam went out of his way to make arrangements. From the moment I arrived Sam made my wife and I feel welcome. We loved the car and was driving it home within 2 hours. We loved the car and loved the service, I cannot speak highly enough of Sam Payne and Chandlers MINI Hailsham. I'd definitely recommend Chandlers MINI Hailsham because I received a very good service. Any queries were addressed promply. My experience at Barons MINI Borehamwood was positive because I had a very bad experience when purchasing my last car. Paul and Diarmuid were absolutely brilliant. They ensured I understood everything and when I wasn’t sure about something, I felt comfortable enough to ask the question and wasn’t made to feel silly. I would 100% recommend these guys to everyone and have already recommended them to my friends and colleagues. I cannot thank them enough, they completely changed the experience of buying a car for me, and for that I am so grateful. I'd recommend Barons MINI Bedford to a friend because Salesperson Tom was very accommodating of my needs, I originally wanted a new car but realistically they were out of my budget Tom did all he could to find me a car that suited my needs and gave me a fair deal on my part ex. Couldn't be happier really! Chandlers MINI Brighton were extremely professional from walking through the front door to purchasing the vehicle. Extremely happy all round! My experience at Barons MINI Farnborough was positive because the salesperson, George Gill, was extremely friendly, helpful and polite. This made it a very special experience. The car was in very good condition and the whole experience was extremely efficient. Explore the 5 Door Hatch specifications.